Comedian Conan O'Brien told reporters in New York Thursday that he doesn't feel pressure to address politics every episode like his fellow, late-night hosts Stephen Colbert, Seth Meyers, Trevor Noah, Bill Mohr, Samantha Bee and John Oliver do. 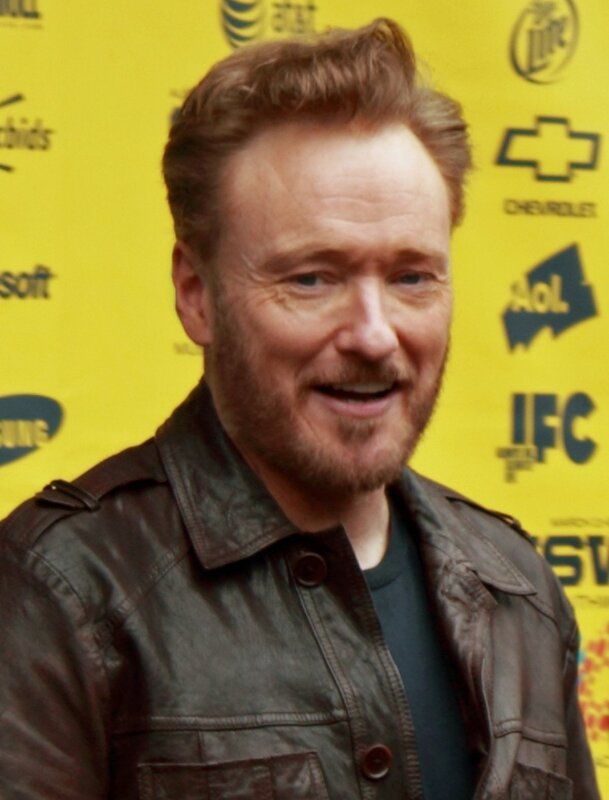 "I feel like it's being handled and very well," the 55-year-old star of TBS' Conan said at a press event associated with the New York Comic Festival and moderated by CNN journalist Jake Tapper. O'Brien said he has considered weaving more topical issues into his work, but ultimately decided that his strength is silly, timeless jokes and he shouldn't try to force something that doesn't come naturally to him. "A lot of that stuff is still on the Internet; stuff we made 25 years ago," he said. "Those were classic moments. We're just trying to manufacture those. The best moments from my travel shows, I believe, will be funny long after I've left this earth." TBS recently announced Conan episodes will be 30 minutes long instead of an hour in 2019. However, O'Brien confirmed Thursday that fans can actually expect more content, which will be available via social media and a podcast, as well as cable television. The former host of The Tonight Show and Late Night with Conan O'Brien said the move will build on how his global audience consumes entertainment in viral bites as opposed to appointment viewing. "They can see the best of my best anywhere in the world on their phones," he said, adding younger viewers are interested in authenticity and seem to want to see what his staff and days are like. To satisfy this thirst, O'Brien tapes and releases candid footage showing how he prepares to interview celebrity guests, interacts with the public and develops comedy segments. The finished, polished broadcast appear to be secondary to what they crave. Meanwhile, more mature viewers prefer a more traditional format. "This isn't something I try to do to make people happy; it's a natural extension of who I am," he said. "You should be able to see what I am up to 24 hours a day. If we have something we can comment on in the moment, it shouldn't have to wait until the linear show. They should all feed each other. It should be symbiotic."